You are looking for something special? Here we go! We are living the passion for fashion. Hand finished pieces in small limited editions. Outstanding streetwear in excellent quality. This is HOLYWHAT! Now we do our best to pass on our motivation and lifestyle to you people out there. RUN FREE! HOLYWHAT is inspired by LA and Hollywood. There is no other city where sunshine and darkness is this close. Big influences are skateboarding, tattoos, music, fighting sports and everything between love and death.  HOLYWHAT supports exhausting lifestyles! We know how hard it is to push your limits every day. We try to make you feel comfortable and looking stylish in your daily fight. So go out and beat that handrail, win that fight or rock that crowd! Get a look behind the scenes of MAYO's TATTOO and HOLYWHAT shop in Calw! Awesome video made by Influenced Travelers!